Is there a better alternative to miCal? Is miCal really the best app in Productivity category? Will miCal work good on macOS 10.13.4? 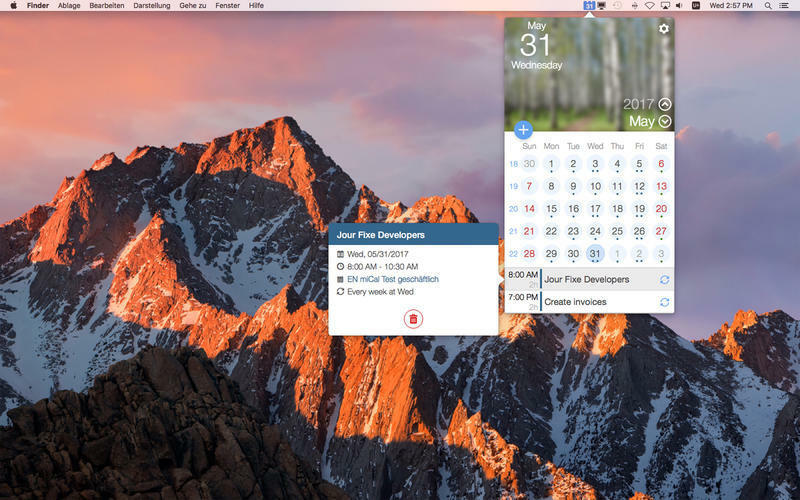 miCal is the calendar that you’ve always wished your Mac had! 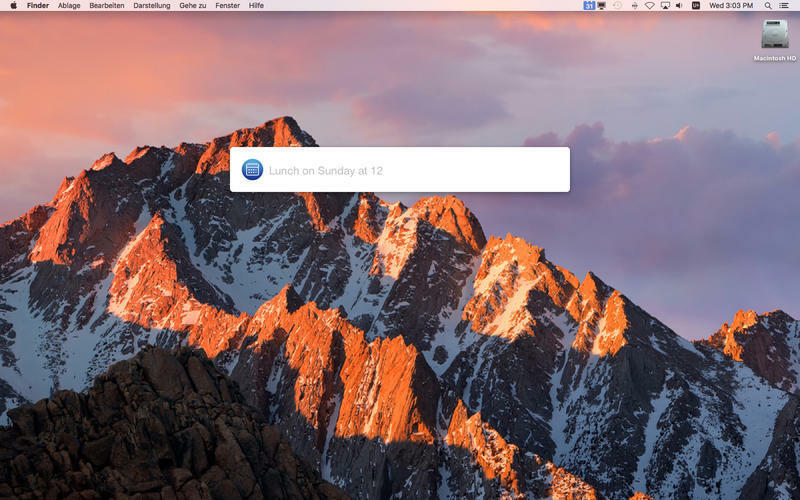 The all new miCal menu bar application for OS X makes scheduling easier, clearer-and better looking-than ever before. 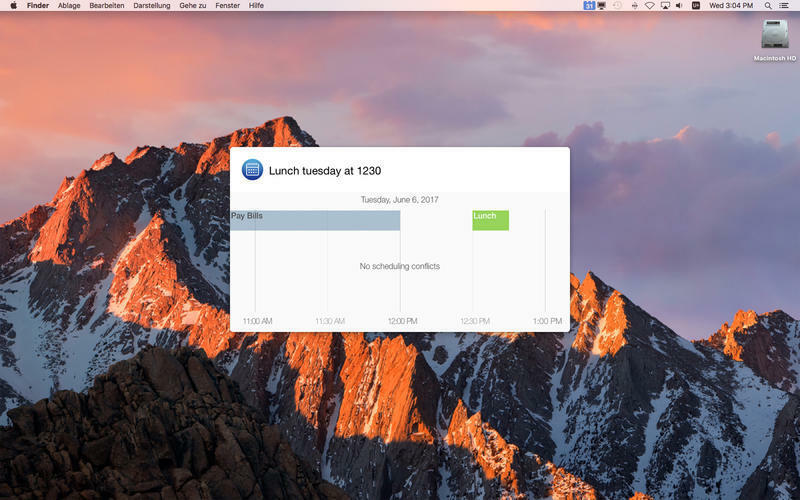 Quick Overview: The menu bar application displays a month view with day details. For each event the event details will be shown on click. Intuitive Controls: The arrows, page up and down and the '+' key let you intuitively navigate through your calendars and quickly, easily add events. miCal needs a review. Be the first to review this app and get the discussion started! miCal needs a rating. Be the first to rate this app and get the discussion started! miCal Everywhere: Start miCal from everywhere by pressing CMD-C or start entering a new appointment with CMD-+ at lightspeed. Each of these shortcuts is also configurable to your needs. miCal Understands You: Quickly create events with the new natural language input feature. Natural language input allows you to create events just by describing them. Relax: With miCal managing your schedule get relaxing. Every month of the year is covered by a lovely image. 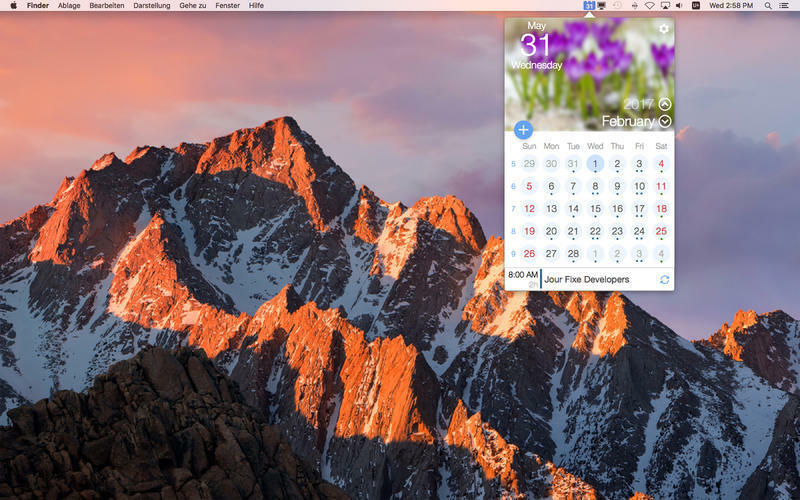 Up to Date and Secure: miCal communicates with your OS X integrated calendar. miCal works with all the calendar services that your device currently supports (iCloud, Google Calendar, Outlook, Exchange, Facebook Events, subscriptions) without requiring additional configuration. That way, you can store your data locally or via the services you know and trust-it’s up to you. miCal itself does not transmit any data to external services or other servers. That allows us to ensure 100% data security.